This the 10th year of the festival sees it moving to June and willtake place over the Summer Solstice from Friday 19th to Sunday 21st June at Uttoxeter Racecourse, in Staffordshire. Latest additions are Sons of Clogger, Harriet McDonnell, and Honey Ryder. Paul Carrack will make his only UK festival appearance this year, to headline Saturday. Taking to the main stage on Friday will be Big Country, with Show of Hands also confirmed to make their first appearance at the festival. Also announced are From The Jam, Merry Hell, Hazel O'Connor, Mark Radcliffe Galleon Blast, Jo Harman, Rodney Branigan, Tess Of The Circle, Vix & Her MsChiefs, FOS Brothers, The Outcast Band, Freds House, David Youngs, Darren Poyzer, John Fiddler, King Size Slim, The Mersey Belles, Jessica Rhodes, Wildfire Folk, Andrew Bazeley, The Blues Hounds, Acoustica, Terry & Gerry, Kizzy Crawford, Quill, Gypsy Dynamite, Funke and the Two Tone Baby, Strumpit, Hunter & The Bear, The Demon Barbers XL, Nell Bryden, Moulettes, The Beautiful Sound, Dan Owen, and Adrian Nation.  To see who is playing when and whee see The Acoustic Festival of Britain line-up page. The early bird offer has ended. Tickets are on sale priced at £85 for the weekend with camping an additional £15. There is also an option to pay in 4 monthly payments. Children aged 10-15 years old at the time of the festival will need a child's ticket priced at £20 for the weekend with camping. A Friday adult ticket is priced at £30, a Saturday or Sunday adult ticket is priced at £38 with children passes for any day priced at £10, and small kids days tickets are £1.